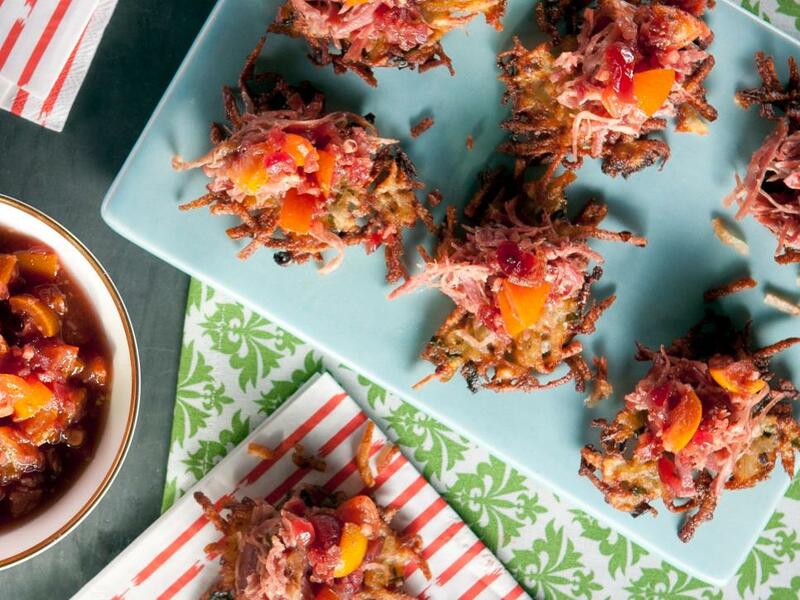 Celebrate the Festival of Lights with festive recipes for latkes, brisket, sufganiyot and other traditional Jewish foods. Kelsey redefines the latke by topping her potato pancakes with shredded smoked turkey and spiced kumquat chutney. 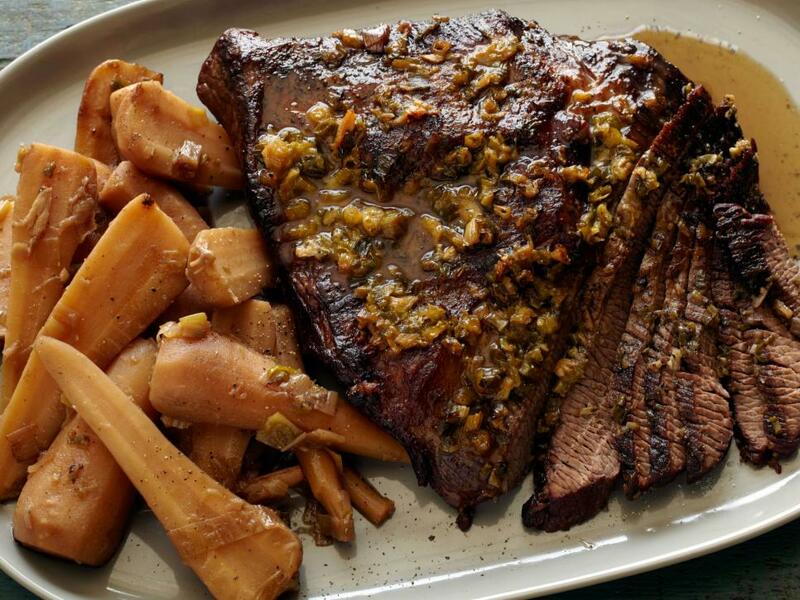 Alex Guarnaschelli shares her favorite brisket recipe: seasoned, seared, then simmered in a fragrant garlic-, green onion- and cider vinegar-flavored beef stock along with parsnips. 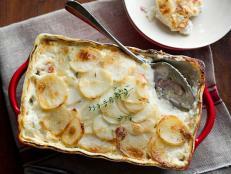 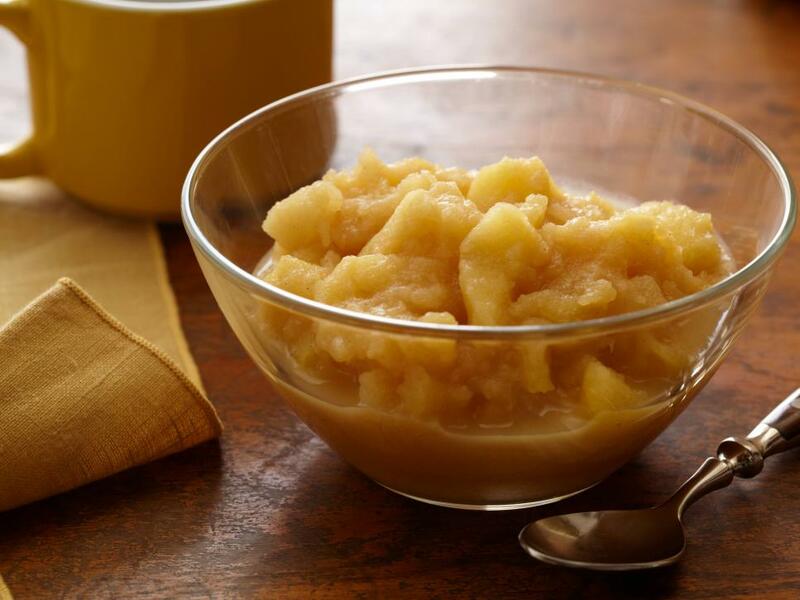 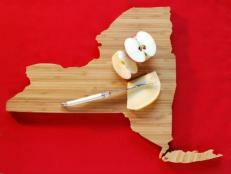 The quickest way to whip up some applesauce to serve alongside those potato pancakes? 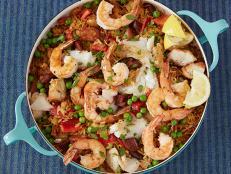 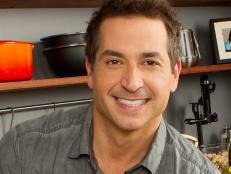 Alton's easy, 10-minute recipe that relies on a microwave for heating and just a few key ingredients for flavor. 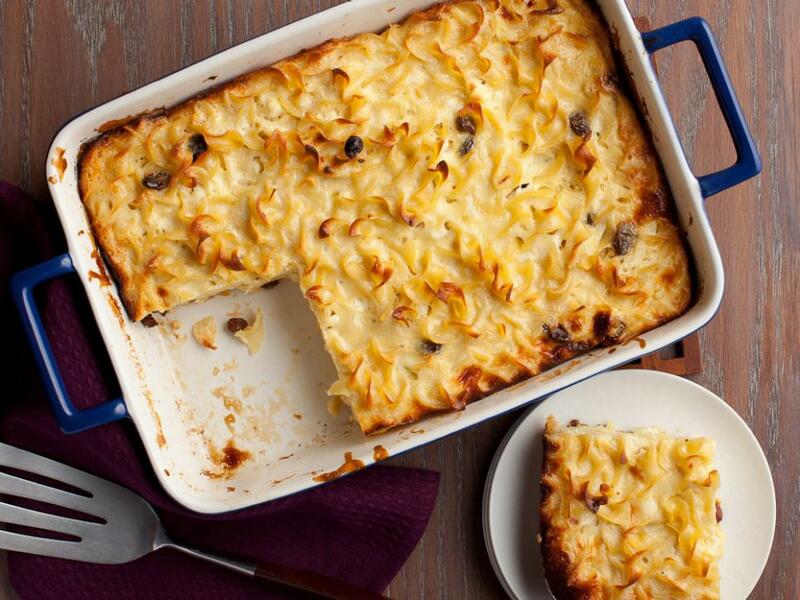 Dave's noodle kugel is made for Passover, but the cinnamon, raisin and cottage cheese casserole is so tasty, you'll want to make it for every Jewish holiday. 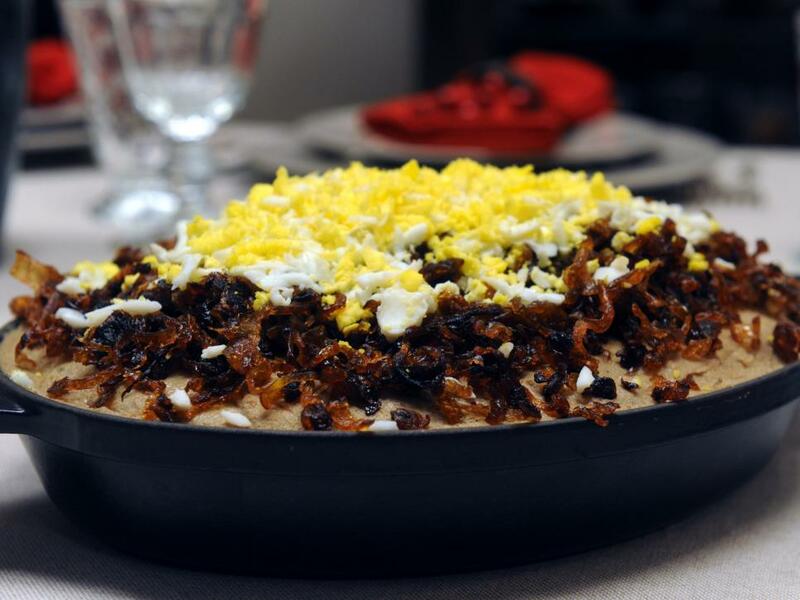 Try Chuck's chicken liver pate instead of picking up the store-bought stuff: It's fresh, flavorful and dinner-party-pretty with the topping of crispy onions and crumbled egg. 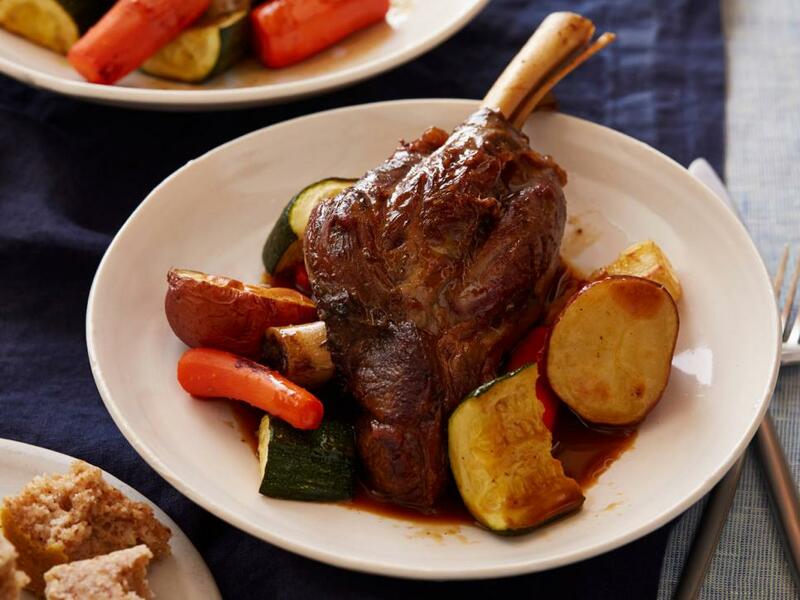 This straightforward lamb shank recipe requires few ingredients, relying on aromatic vegetables and a dash of balsamic vinegar for flavor. 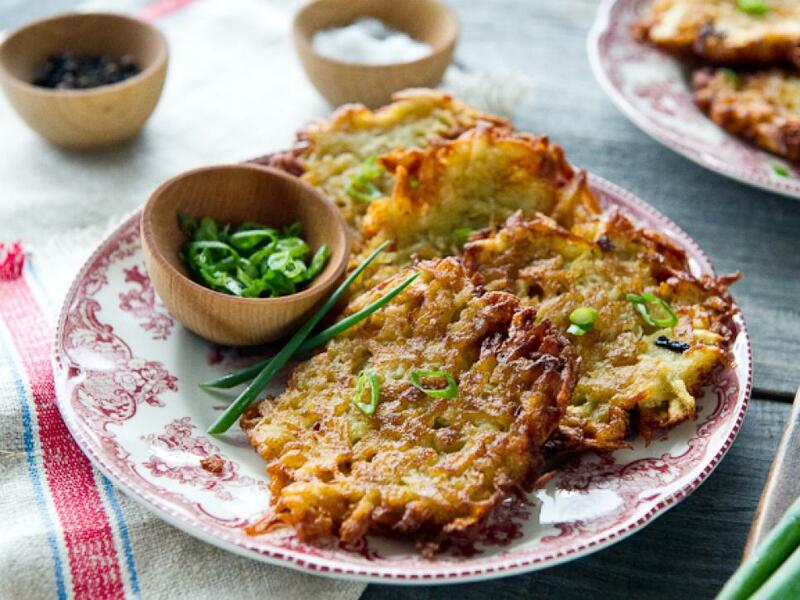 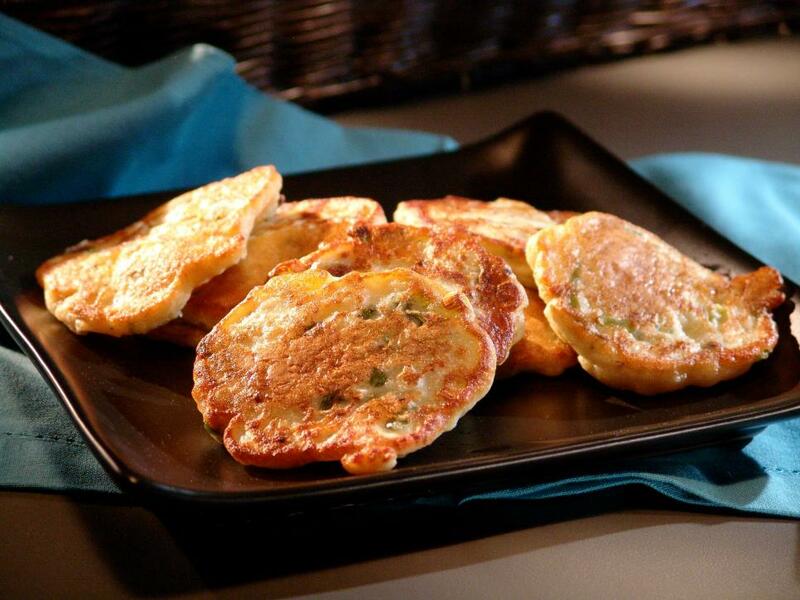 Serve this savory, filling take on potato pancakes as a breakfast-inspired dinner or for a hearty Hanukkah brunch. 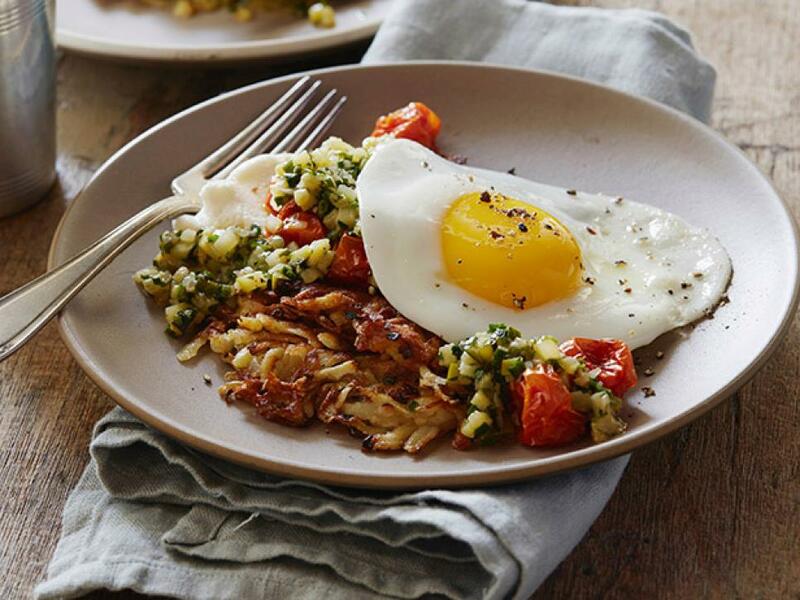 Ricotta cheese, zucchini, tomatoes and a fried egg pair as perfectly with the browned shredded taters as they would morning hash browns. 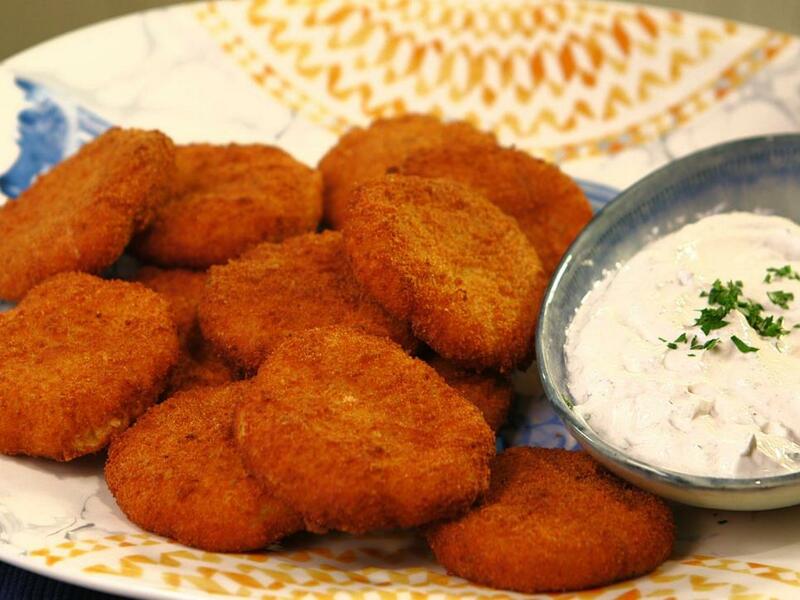 This classic Jewish dish, sometimes made with carrots and varying from family to family, has its place at any holiday table. 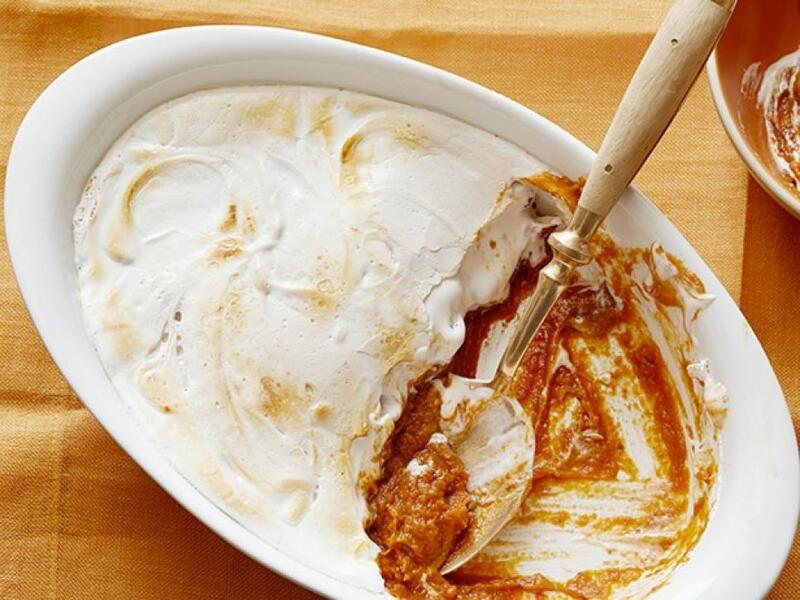 Honey, molasses and cinnamon-kissed sweet potatoes are mixed with pecans, topped with a rich marshmallow blanket and served right alongside the savory mains. 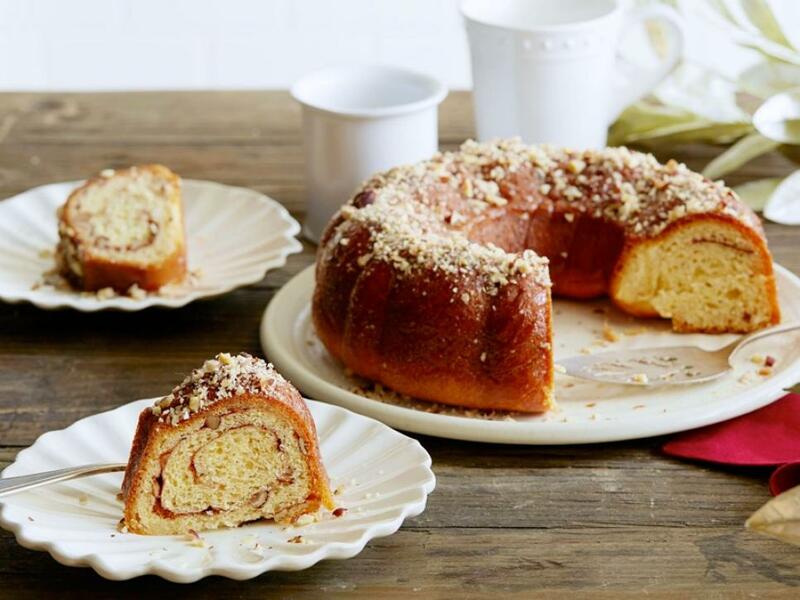 This version of the sweet cinnamon-swirled yeast cake with Eastern European origins possesses a deep nutty flavor thanks to chopped toasted hazelnuts that are worked into the dough and stud the liqueur glaze. 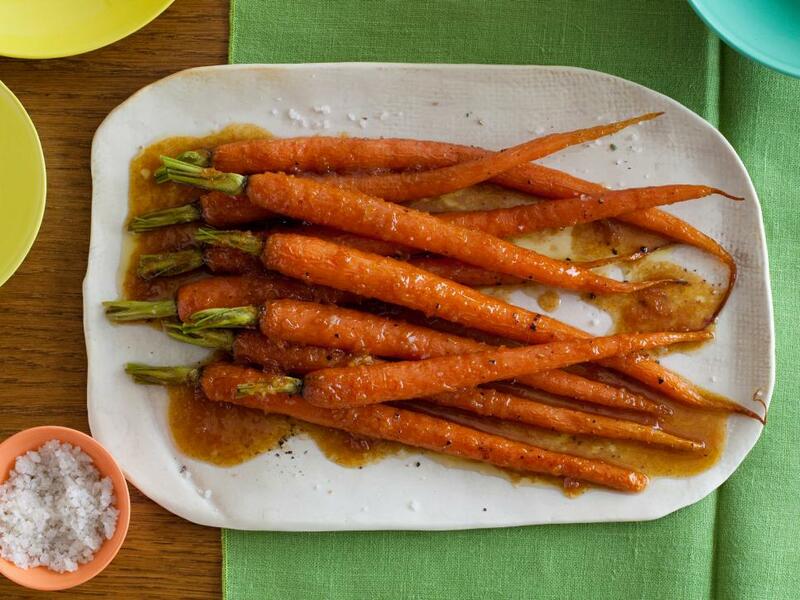 Candied carrots are common accompaniments at many Jewish holiday meals. 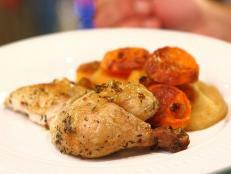 Tyler gives his that unique sweet-savory flavor with brown sugar, cumin, cinnamon and a whole orange. 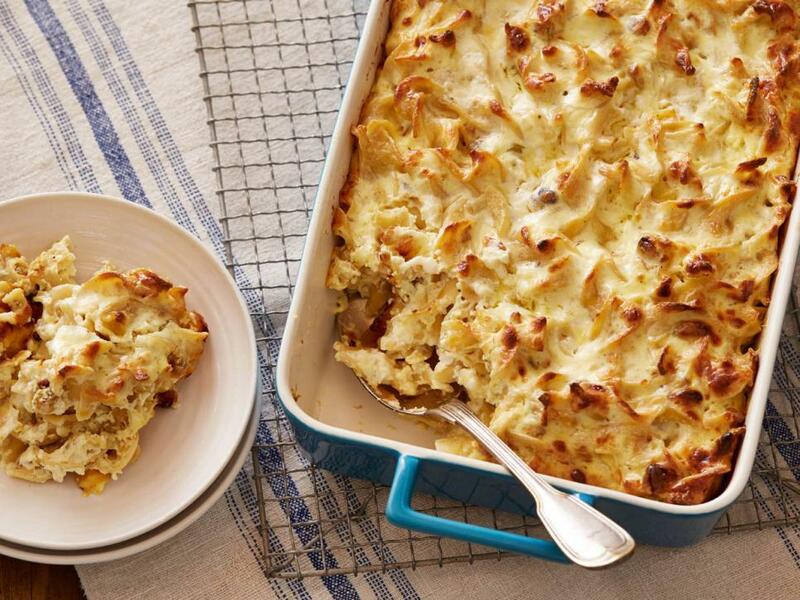 Use challah as your bread base for an even more decadent holiday bread pudding. 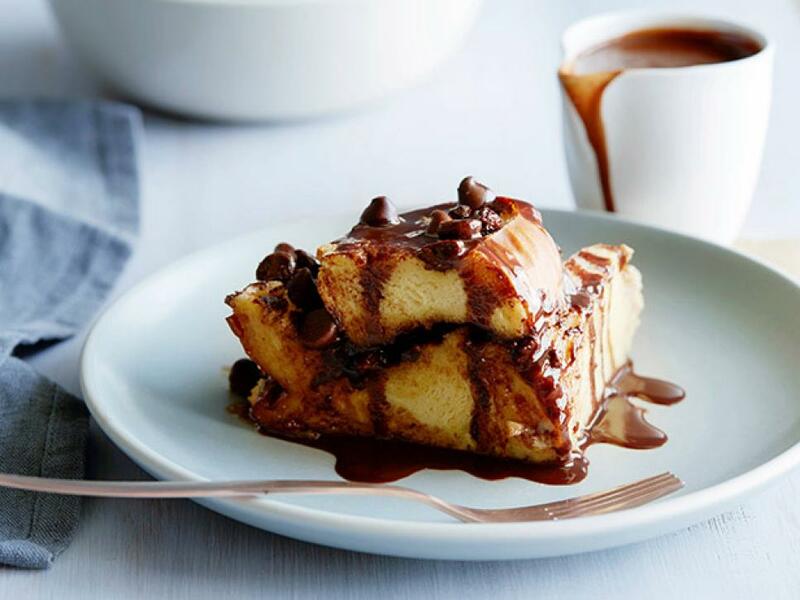 Studded with raisins, chocolate chips and drizzled with a rich chocolate ganache, this recipe tastes like a cross between rugelach and babka. 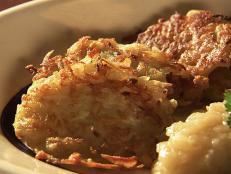 Give your latkes an extra-creamy, fluffy filling by mashing the potatoes instead of grating them. 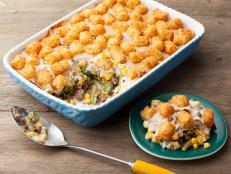 Make a sweet-savory spin on the traditional casserole by adding both golden raisins and chicken buillon. 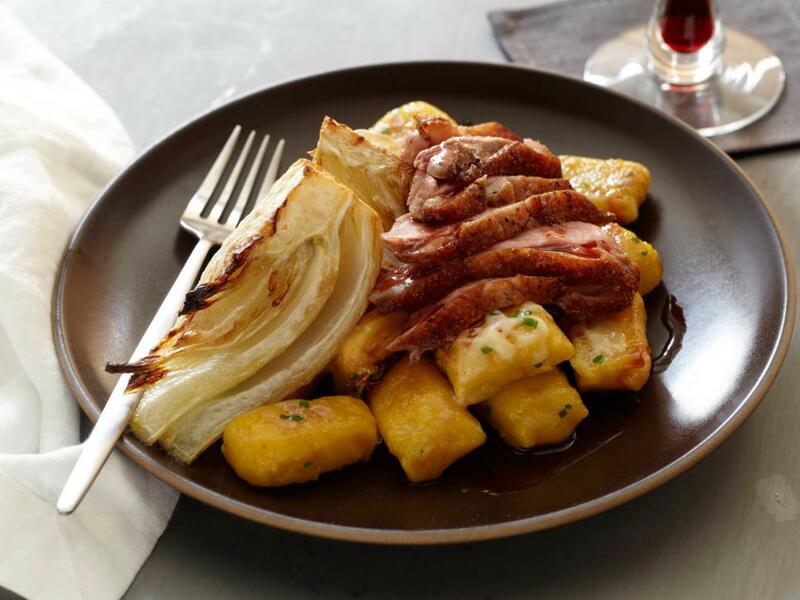 For an elegant Hanukkah main dish, prepare Chuck's succulent duck breast recipe with a side of seasonal butternut squash gnocchi. 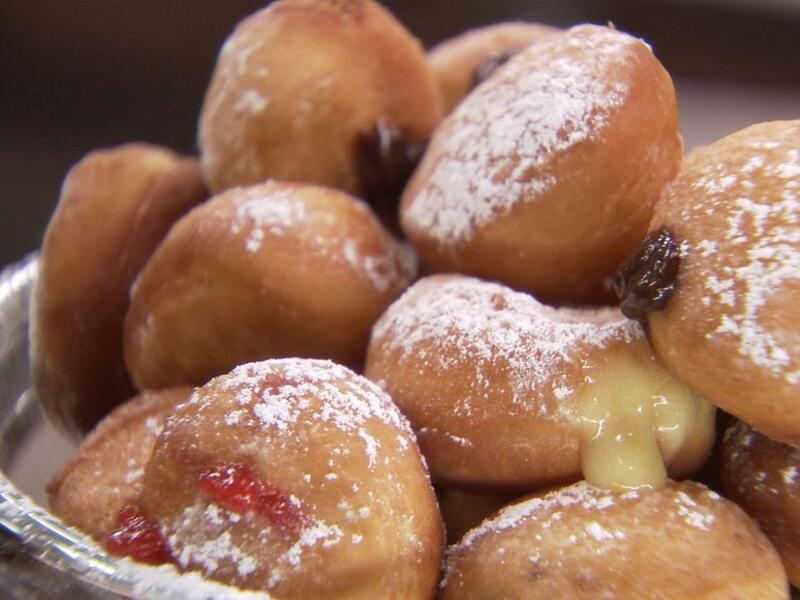 Traditional sufganiyot are plain deep-fried doughnuts that have been injected with jam and dusted with powder. 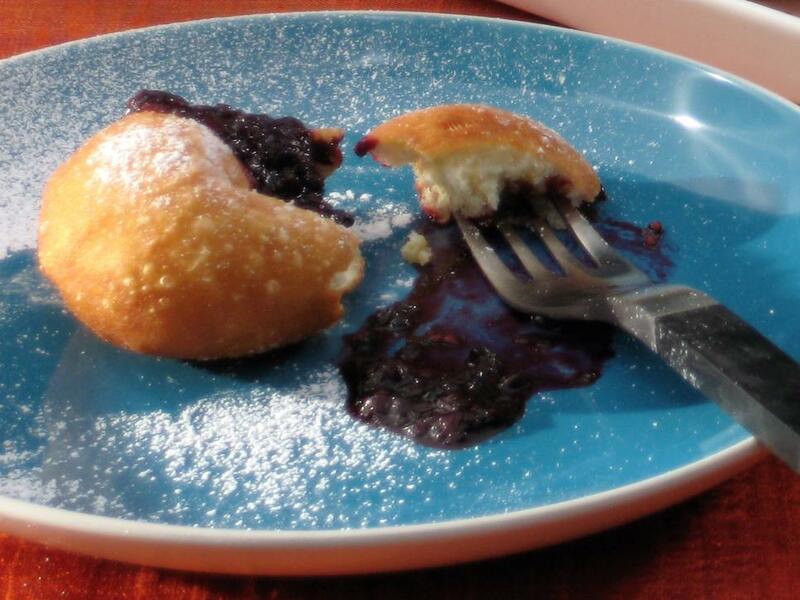 For a twist, try Bobby's beignets  the French version of this pastry  served with a side of jam. 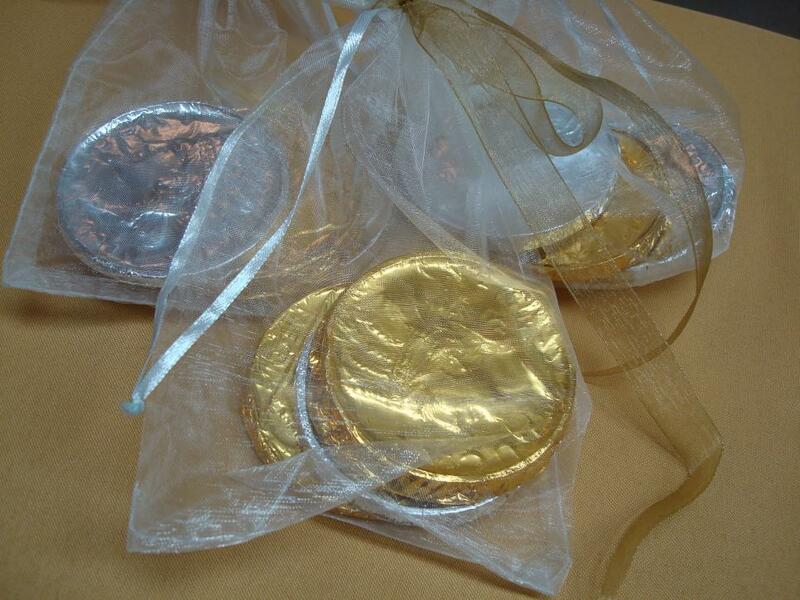 Follow the Brass Sisters' lead and make your own chocolate coins using special molds, then wrap them in foil for a copper-colored finish. 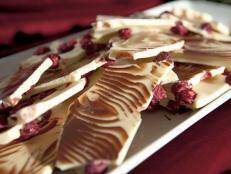 Go beyond the basic jelly filling by preparing Chuck's three: raspberry mango, chocolate-caramel ganache and lemon cream. 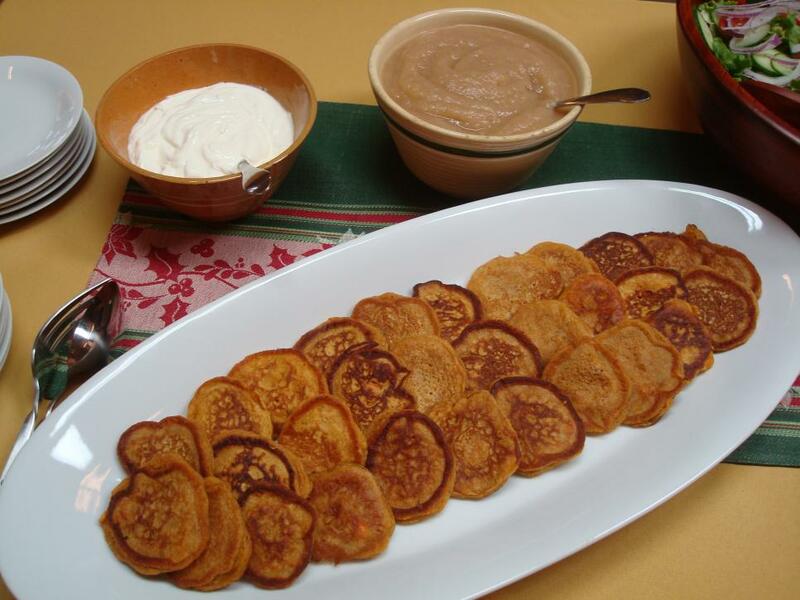 The name of this breakfast or dessert treat stems from similar Yiddish or Russian words. 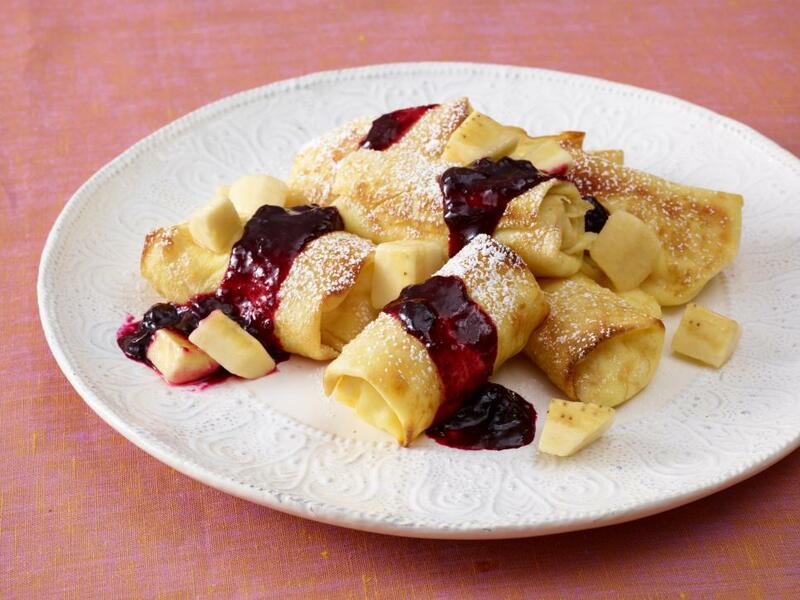 The ricotta-filled pancake bundles are a marker of Jewish-American cuisine, often served with a sweet sauce like Tyler's blueberry mixture. 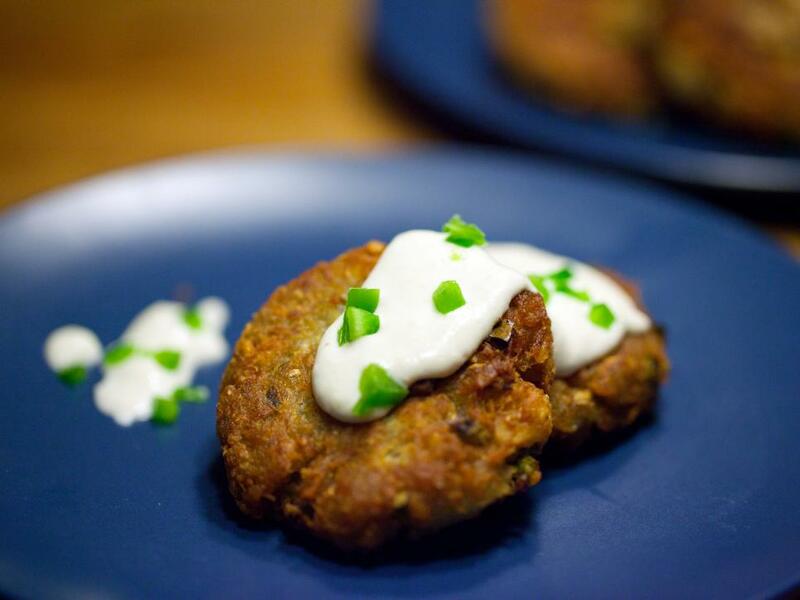 Try this Mexican spin on the braised meat that’s the centerpiece of all Jewish holidays. 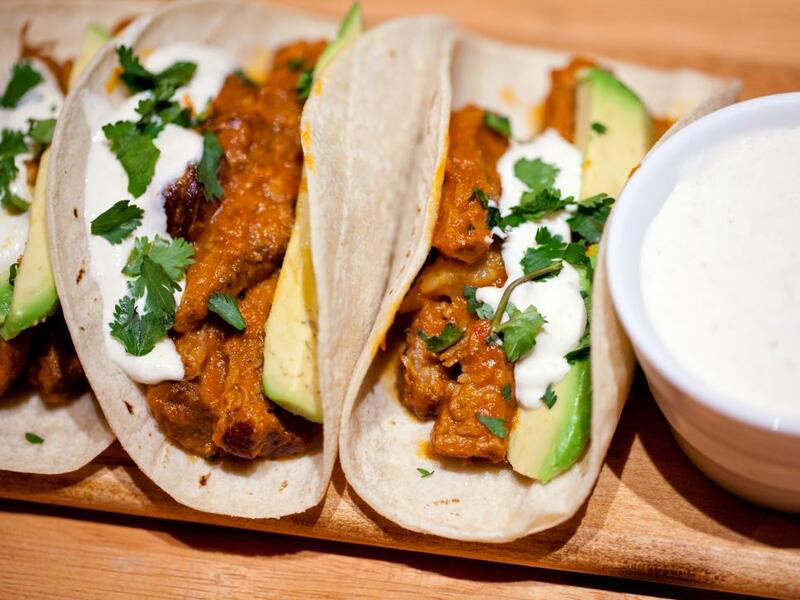 Fresh tomatillo salsa is an ideal accompaniment to cut the richness of the meat. 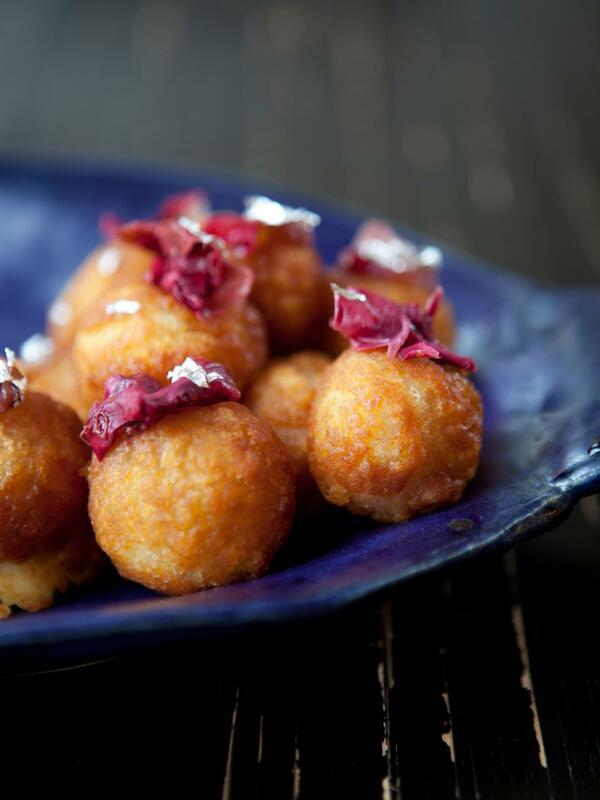 Try these moist fried balls  the Indian version of a doughnut  for an international twist on your Hanukkah celebration. 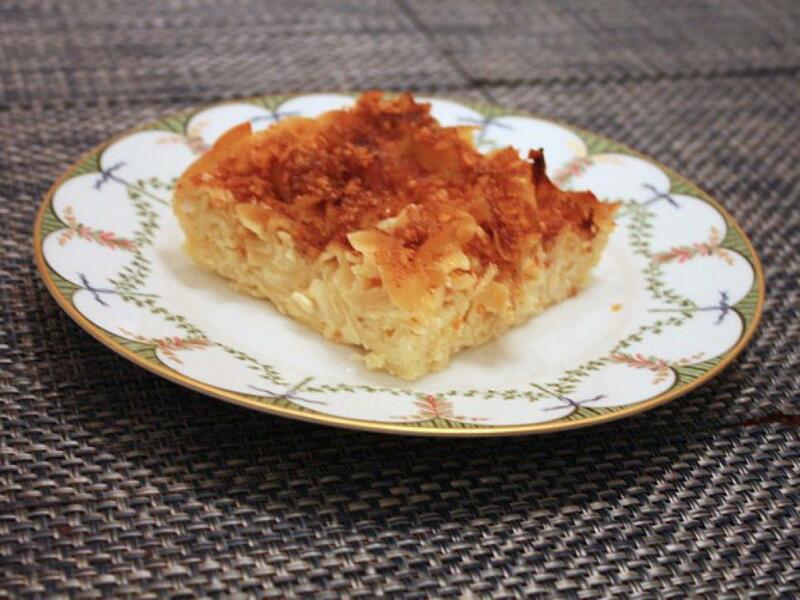 This classic potato-noodle kugel tastes just like latkes but requires much less work to prepare. 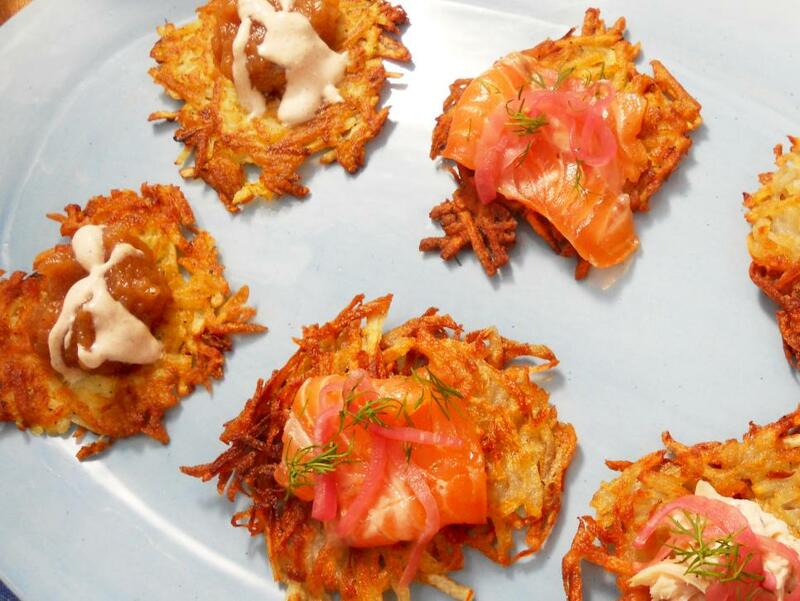 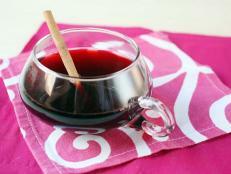 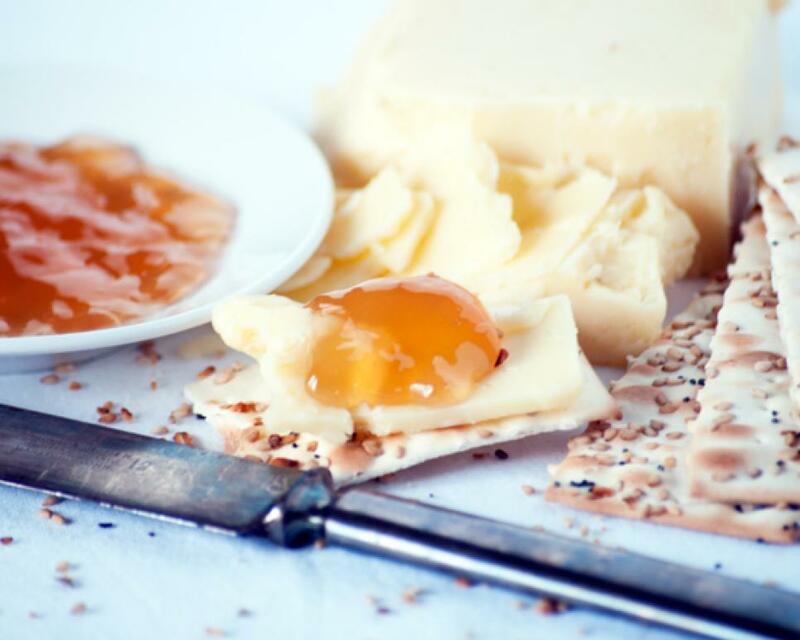 Instead of applesauce, serve a spicy jelly alongside your latkes to mix things up.